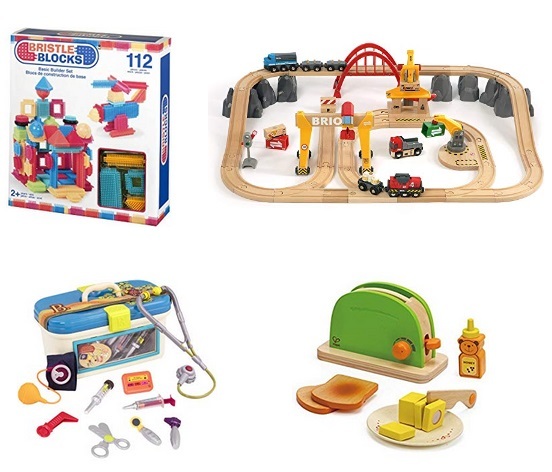 Home > Uncategorized > Ends Tonight – Save On select Bristle Blocks, LeapFrog, Hape, Battat, BRIO, and other Toys From Amazon! April 16, 2019 Comments Off on Ends Tonight – Save On select Bristle Blocks, LeapFrog, Hape, Battat, BRIO, and other Toys From Amazon! As one of today’s Deals of the Day from Amazon, save on select Bristle Blocks, LeapFrog, Hape, Battat, BRIO, and other Toys! 2-Pack Of TP-Link HS200 Smart Wi-Fi Light Switch Only $39.95 + Free Shipping!